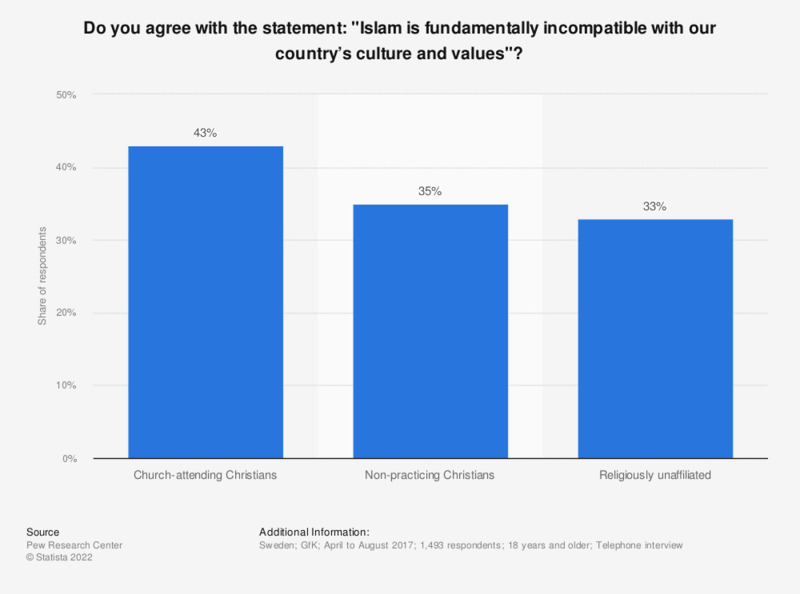 This statistic shows the result of a survey conducted in 2017 on people agreeing that Islam is fundamentally incompatible with Sweden's culture and values. That year, the largest agreement of the Swedish population was church-attending Christians, with a share of 43 percent of respondents. Compared with the religiously unaffiliated reaching 33 percent of individuals it was ten percentage points higher. Are you in favor of legal abortion? Are you atheist, agnostic or have no particular religion?